Bryan Jackson is a Charlotte, N.C. native. He is of Cherokee (Iroquois), English, French/German, and Scots-Irish (Western European and Iberian) descent. Before entering the ministry, he worked in law enforcement, community corrections, and the private sector. For many years, he was a dog trainer and, eventually, a canine behaviorist. He holds a Master of Theological Studies degree, gained two years of advanced clinical pastoral education in two different Level 1 trauma centers, and received postgraduate training, education, and supervision in Bowen family systems theory at the Bowen Center for the Study of the Family. He has served in parish ministry, hospital chaplaincy, and fee-based pastoral counseling. 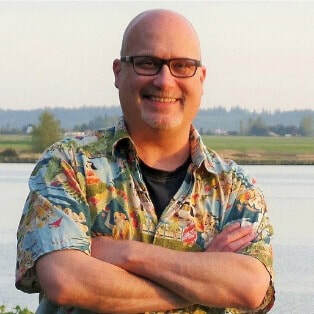 His writing and research interests include children's and young adult fiction, non-fiction spirituality, family systems theory, genealogical analysis papers, and Native American history and culture. His current book, Called Yet Again, focuses on the subject of "calling" in our lives from a Christian and Cherokee perspective. Bryan is an Eastern Cherokee successor, was ordained in the American Baptist Churches USA, and is a registered descendant in the First Families of the Cherokee Nation (Sonicooie) and the First Families of the Twin Territories (Cooweescoowee District). In addition, he is a member of the Trail of Tears Association, the Wordcraft Circle of Native Writers & Storytellers, and shares community with the Mt. Hood Cherokees. Some of Bryan's ancestors migrated from the original Cherokee Nation in Georgia and Tennessee to Indian Territory (now N.E. Oklahoma) during and subsequent to, the forced removal of the 1800's. His novel for ages 10 and up, Chattahoochee Rain, a historical fiction piece based on his 3rd great-grandmother in the old Cherokee Nation, is expected to be released in early 2019. He lives in the Greater Seattle area with his wife, Penelope, and their cattle dog/retriever mix, Lyric. To what are you called today? This month? This year? In this memoir, Bryan Jackson explores the concept of calling thematically, as he has lived it. No matter how "big" or "little," "major" or "minor" a calling might seem, it is still a calling if that is how one interprets it. In addition to having observed many others' callings, Bryan recounts the impact of several life-altering experiences and his efforts to make use of second, third, and fourth chances. His love for creation, particularly dogs, comes through in this thoughtful account of being called ... yet again. Produced by Gadugi Media. Ga-doo-gee is a Cherokee term meaning to work together to solve a problem or to meet a common objective.